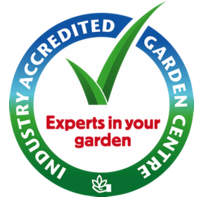 Guildford Garden Centre carries a spectacular range of flowering trees to help you with your own colourful garden. Flowering trees help define our cities and seasons, with their extraordinary display of colour and contribution of scent. Crepe Myrtles, Magnolias, Illawara Flames, Cercis, Crab Apples, Dogwoods, Hawthorns, Jacarandas, Lilacs & Ornamental Pears – these are the trees that help define Perth’s (and Australia’s) seasons.